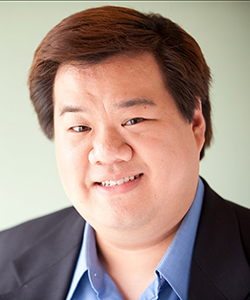 Peter J. Kuo is a director, producer, writer, and educator focused on raising the visibility of marginalized communities. As social justice programs coordinator at The New School, he founded the NSD: Affinity Groups program and was involved with several EDI initiatives. He is the co-founder of Artists at Play, a Los Angeles Asian American Theatre Collective. As a director, he has worked at the Williamstown Theatre Festival, the Oregon Shakespeare Festival, East West Players, South Coast Rep., Geffen Playhouse, Rattlestick Playwrights Theater, Leviathan Lab, Ma-Yi Theater Company, Pan Asian Repertory Theatre, and others. He was recently named one of Theatre Communications Group's Rising Leaders of Color. A.C.T. Associate Conservatory Director Peter J. Kuo. We are so excited to have you at A.C.T., Peter! What drew you to this role?